Scandal and the New Media – How Should Christians Respond? In 1999, during Clinton’s impeachment trial, Hustler publisher Larry Flynt offered money to anyone who could provide evidence that a prominent Republican had engaged in an extramarital affair. According to the American Journalism Review investigators for Flynt said that Barr was “guilty of king-size hypocrisy.” According to a sworn affidavit by Barr’s ex-wife Gail: Barr (a longtime outspoken opponent of abortion) had acquiesced to and paid for the termination of his then-wife’s pregnancy in 1983. In accordance with his public offer: Flynt subsequently paid a sum of money to Gail Barr after she had made her sworn affidavit. Barr never publicly disputed the contents of his ex-wife’s affidavit. Investigators also reported that Barr invoked a legal privilege during his 1985 divorce proceeding, so he could refuse to answer questions on whether he’d cheated on his second wife with the woman who is now his third. I realize that conference speakers sometimes have to appear on a platform with people who they don’t agree with. However, this is billed as a Christian event with speakers who supposedly uphold God’s Word as a blueprint for liberty. It’s ironic that they feature Bob Barr, a man who is on his third wife and was accused by his second wife of having committed adultery and having paid for an abortion. Or am I just being a busybody? Am I participating in scandal-mongering by posting this? Even if I knew nothing about the abortion and adultery allegations, it would still irk me that a man on his third wife is lecturing Christians about liberty. The epistemologist (one who studies belief systems) should understand how compromise works to hijack our worldview. We end up allowing the worst demons of our own depravity to share a platform with the angels of our better nature. We wink at a little indiscretion from time to time due the excuse that we are “all sinners saved by grace.” We slowly allow this to turn slowly into an egregious violation of God’s moral law. In this case, the other conference speakers are winking at an allegation of adultery and murder through abortion. I don’t know if the allegations are true, but I also don’t see where other Christian speakers have addressed the propriety of appearing alongside this man. The conclusion I have drawn after 15 years of administrating Forerunner.com is that the Internet is no different than a newspaper press except that it requires no money or training to publish. Therefore, scandal in the new media is so common that most take it with a grain of salt. The downside of this is that nothing is shocking anymore. If scandalous behavior becomes Internet “news” or is already part of public record for those who will connect the dots, then we are repeating what may already be found elsewhere. We should realize that allowing others to read public record and draw their own conclusions cannot be avoided. Most of the time people are commenting on what has already been commented on a thousand times before – Mel Gibson, Tiger Woods, Bob Barr, and so on – even before a civil suit can be written or jury can render a verdict. For better or for worse, the new media is the police, judge, jury and executioner of human character. For many years, people found it acceptable for journalists to blow the lid off political and private life scandals if the story made it through the rigorous grid of ethical procedural journalism. This was their job. They knew best. Or did they? Now with the Internet, anyone may by pass through this ethical grid with no rigor. As Christians, we are dealing with a new species of animal with the ability to reach thousands at our fingertips in a few microseconds. The ethics of doing so needs to be examined, but we’ve passed into a time when the genie is out of the bottle. By the time of the Cruise for Liberty in January, many of the attendees will know all about Bob Barr due to the Internet and they will have drawn their own conclusions. Jay Rogers is the Founder of The Forerunner International (a/k/a Media House International) and has been writing since the 1980’s. Jay has also acted as script writer and associate producer for several Christian videos, including The Real Jesus and God’s Law and Society. He has a heart for Missions, is a fierce pro-life advocate and activist, and is currently the Director of The Forerunner – http://www.forerunner.com . He and his lovely wife Kalia now live in Kissimmee, Florida. How do you tell the difference between Democratic and Republican principles and those of the socialist and communist caste? What’s the difference between a private organization giving grants to individuals or other organizations and the government doing it? What is the role of government in people’s lives? Who are the government servants suppose to serve – themselves or the people? This video is a brief but outstanding examination of the current competing ideologies at war for the right of entrance into the White House. Take some time to educate yourself on them. 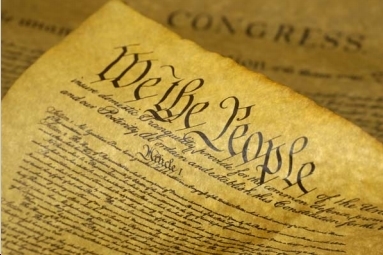 Compare them to your Constitution… how do they measure up? “MAN IS NOT FREE UNLESS GOVERNMENT IS LIMITED.” Ronald Reagan in his farewell address to the nation. (Video) Obama Blocked a BAIPA Bill in the Illinois State Senate – 4 times!!! How Will YOU Vote on Nov. 4th?? Senator Barack Obama voted to block a BAIPA bill – Born Alive Infant Protection Act – in the Illinois Senate… 4 times. Is this the kind of man we want sitting in the Oval Office? Or do we want someone sitting there who will affirm life? You decide this Nov. 4th… with your vote. Don’t stay home and essentially vote present… cast an early ballot, or go to the polling place on election day. A Barnstable County, Massachusetts grand jury has indicted former Massachusetts abortionist Rapin Osathanondh in the abortion related death of 22 year old Laura Hope Smith. The grand jury investigation discovered attempts by Osathanondh, who was a Harvard Fellow, to cover up his neglect of safety procedures that resulted in the death of Miss Smith on September 13th, 2007. Eileen Smith, Laura’s mother, spoke with CWA Policy Analyst Martha Kleder about this latest development. Abortion Doctor Indicted in \"Legal\" Abortion Death. Evidence Shows Cover-up. It’s time for the church to wake up on this issue. It’s not just the babies lives that are at stake.